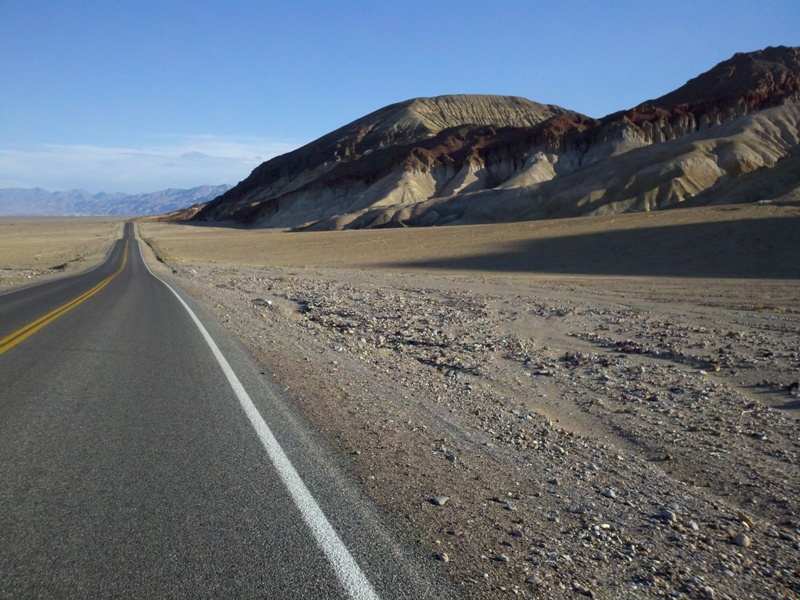 The Death Valley Spring Double Century is an epic ride through one of the world's greatest outdoor sports arenas. The spring event covers the southern parts of Death Valley National Park, while the fall event covers the northern areas. In addition to the 200-mile route, 150 and 100 miles are available. The ride starts at the Furnace Creek Ranch, located below sea level. On the way south, the route passes Badwater, at 282 feet below sea level the lowest point in North America. Then it passes the Devil's Golf Course and Ashford Mill. 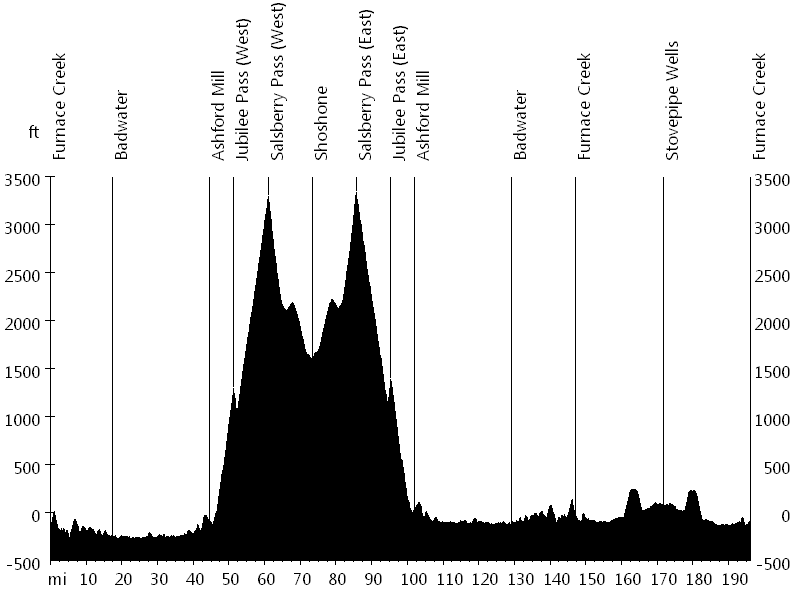 Next the route climbs Jubilee Pass and Salsberry Pass from the western side, continues to the southern turnaround point in Shoshone, and returns to climb the two passes from the eastern side. On the way to the northern turnaround point in Stovepipe Wells, the route passes Ashford Mill, the Devil's Golf Course, Badwater, Furnace Creek, the Devil's Cornfield, and Mesquite Flat Sand Dunes. From Stovepipe Wells it returns to Furnace Creek. We fought a gusty wind all day, blowing from the east. After sunset it finally calmed down, and I finished the ride under a beautiful full moon.